Industrial Steam Boiler is a level 3 BBBEE company, formed in 2007 to address the need for professional, competent and efficient service in the Engineering and Electrical Sectors. 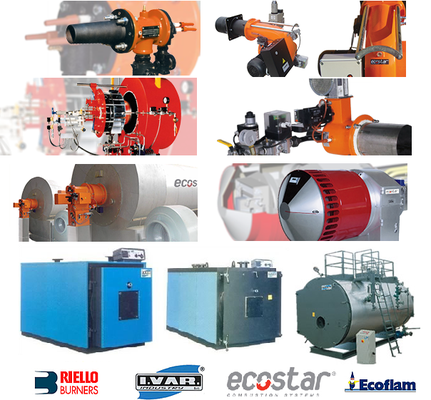 We supply new and refurbished Boilers and Burners to various industries, including pressure vessels and electrode boilers.We supply Riello, Ecoflam & Ecostar Burners and IVAR Boilers. We offer a comprehensive service on all burners, pressure jet or rotary cup. Our qualified Service Engineers are available 24 HRS to attend to any emergency call-out.